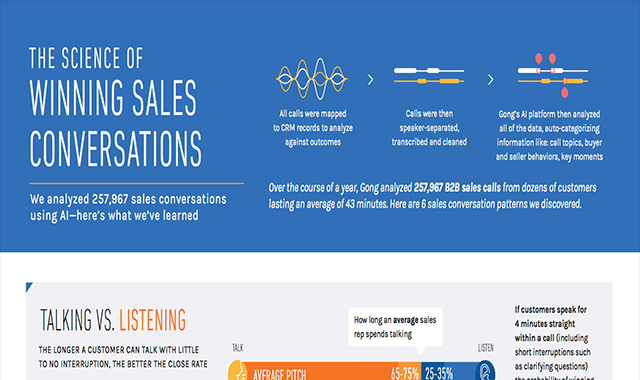 The Science Of Winning Sales Conversations #infographic ~ Visualistan '+g+"
In the Gong Research Labs series, we publish data from analyzing sales calls with natural language processing and AI. Subscribe here for new data every week. Every word and phrase uttered on a B2B sales call influences the outcome of that deal. 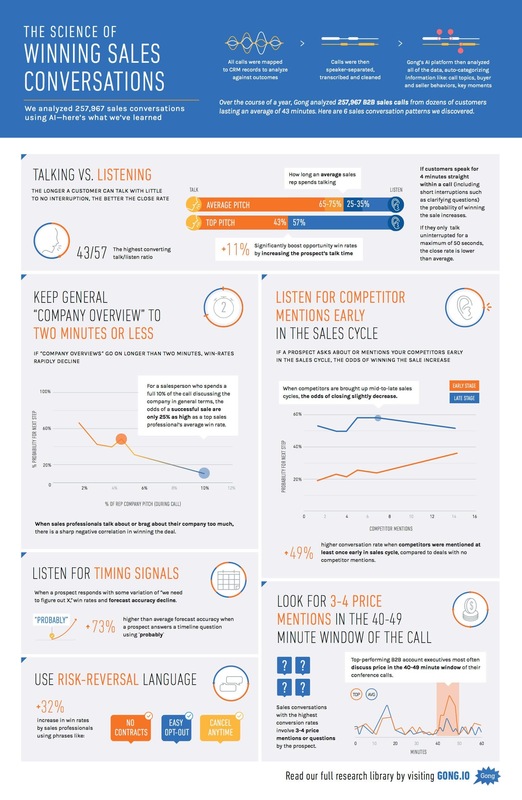 Sales conversations are what drive revenue. But until now, they’ve been guesswork.